You cannot be there 24×7 patrolling over kids. Infact patrolling truly would stop once your toddler grow. Well safety be it for toddlers room. 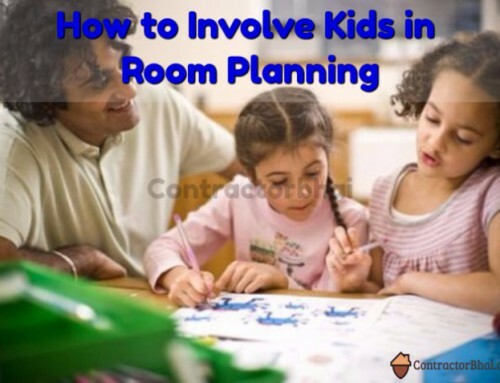 kids, room or teen room is equally important. The safety measures will surely differ. 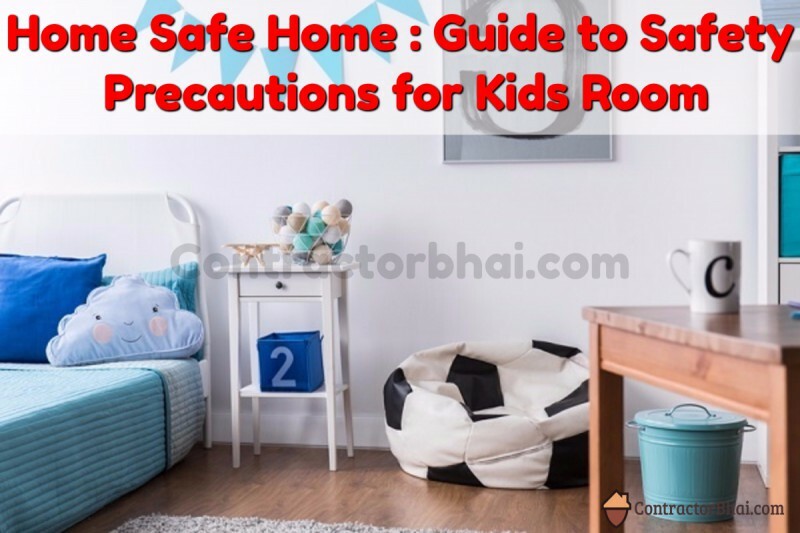 Here are some of the common safety measures that every Indian kids room shall be taken care of. 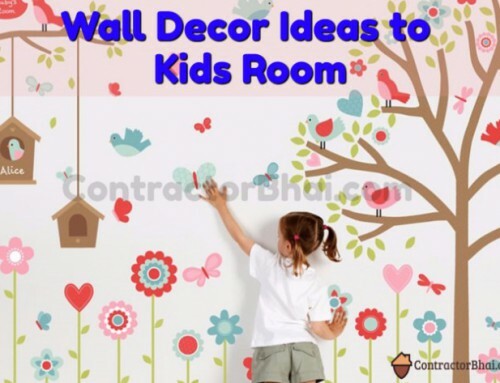 What are different necessary safety measures to be taken while designing Kids room? 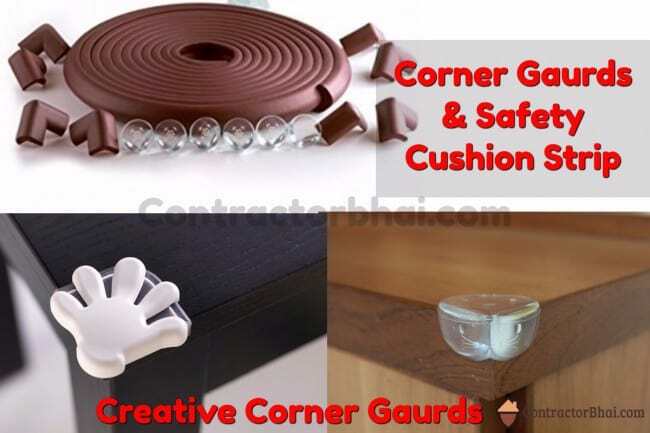 Smooth corner – Most importantly avoid sharp edges and cornered furniture’s. If you getting new furniture made, have the corner smoothened or rounded corners. Well if already have furniture that have sharp corners and not planning to change, please cover these edges with KIDS PROOFING CORNER GAURDS or CHILD SAFETY CUSHION STRIP. These products are easily available in market and online. Sturdy Furniture – Have wall units, shelves and other stand-alone furniture secured to wall to avoid tripping of kids and furniture falling. Also always keep a check on all furniture at regular say every 2-3 months for any loose leg of table, chair or bed, anything broken that needs repairing, etc. If any get them repaired before the kids fall prey to being hurt. 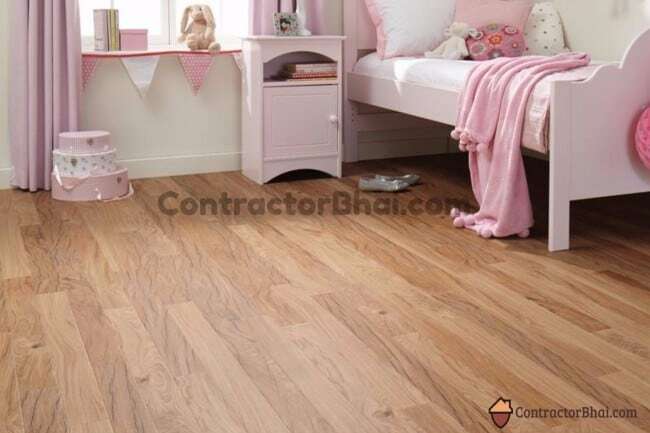 Anti-skid Flooring – Choose flooring type that is anti-slip or anti-skid. Safety is one thing that parents are worried about. Parents cannot be there 24×7. So it’s important to choose a floor that can decrease accidents or being hurt and allergies too. 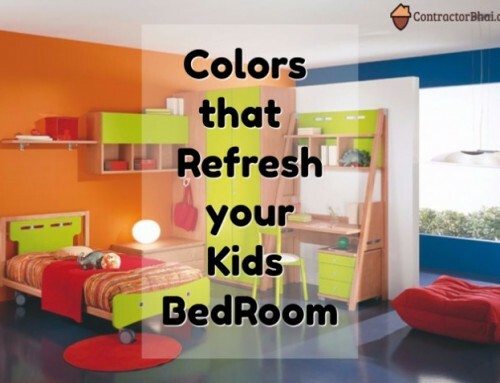 Also kid’s room is the room that undergoes maximum wear-and-tear and spills due to kids playing, painting and other activities. Avoid Glass Doors & Mirrors – Avoid using glass doors for or on wardrobes. Also avoid mirrors in kid’s room. Home owners usually ask for dressing mirror, but I would say avoid one. Reason, kids spend most of their time in their room playing, studying, etc. What if the glass or mirror gets hit by sharp or heavy object? Your kid is in danger. Your dear kid may get hurt or have deep injury due to cracked glass or mirror. I am sure no parent would want that to happen. Well if case you or your teen have a special liking for glass, always opt for toughen Glass. Toughened glass is a type of safety glass processed through chemicals and processed to increase strength as compared to normal glass. On breaking, toughened glass forms powder like small granular pieces instead of sharp pieces as regular glass does. The granular amounts are less likely to cause injury. 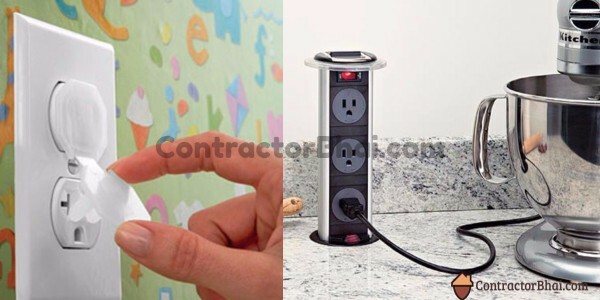 Electrical Points – Have covers over every electrical socket especially in kid’s room. Childproof outlet covers. Also make sure that any heat sources like iron, have guards around it so that your kids is unable to touch it or burn himself. Keep power strips hidden behind furniture or, if they must be exposed, buy a power-strip cover. Door Safety – Have doorknobs without locks. Have safety grip doorknob covers to avoid door banging or closing behind. If not that have doorstops that fit on door tops to protect fingers from getting smashed. Safety Locks for Storage’s – Install safety latches at appropriate height on all storage items that your child shall not have access to. 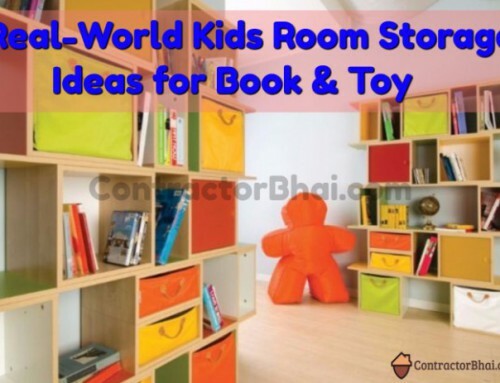 Toys Storage – Store toys that kid can easily have access to. If you planning toy storage cabinets, have them placed at lower ones only. Avoid placing attractive toys on top shelves. Remove anything with small parts. 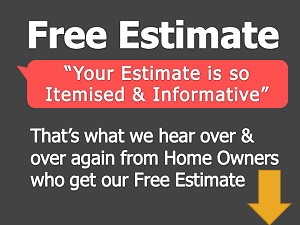 Window Treatments – Avoid curtains that can be pulled down easily. Remove anything hanging like window-shade or blind cords. Have window guard installed at the bottom of the window. Do not place any kind of furniture under window. Designer PITCH – Avoid placing bed next to Window. Out of curiosity your kids me throw toys to see what happens or he himself might get into some kind of unwanted happening. Kitchen is the most busy and used room in home. Also kitchen is the only place where different hazardous items are stored right form chemicals to sharp objects to electrical equipment’s. Not really safe room right!!! Kitchen Storage – Most importantly I would say is store sharp utensils like knives, spatulas, etc. away from kids reach. Keep soaps and hazardous chemicals in locked cabinets. Store breakable items like dinnerware, crockery etc. on above shelves or cabinets i.e. not within kids reach. Have Cabinet Safety Locks for drawers below the counter-top to avoid your dear kid from climbing up the open drawers near the gas-stove. Gas & stove safety – Place you stove appropriately that your kid cannot reach the knob. When not in use, Stove Knob Cover, to prevent kids from playing with it. And more importantly do not let your kids loiter around gas stove. Electrical Appliances – Have electrical appliances locked if possible or else have them placed on higher shelves. Designer PITCH – Avoid unlocking any kind of cabinet lock or other lock while you toddler o kid is around. Kids learn by imitating you. If he watches you unlocking it few more times, next time you may find the lock already opened. Secondly, do not forget to put up those cabinet locks after use. If the cabinet goes unlocked, you kid gets exposed to unwanted dangerous items in no time. Also to avoid any kind of dangers, shift all such items or chemicals (if any) to upper storage cabinets which they cannot reach at. This is especially in kitchens. 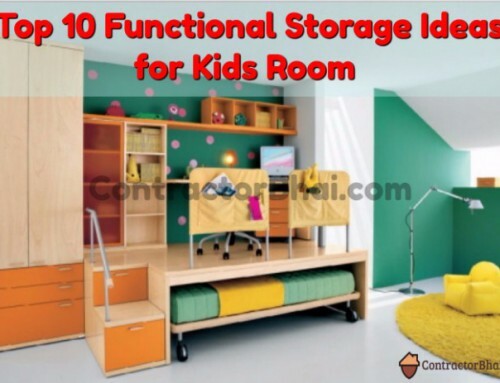 Another essential product to have not only in kids room but very very importantly in kitchen and other room storage is Child Safety Cabinet and Drawer Locks. You have different types of such safety locks like Magnetic Locks, String Cabinet Locks, adhesive mount Locks Sliding Locks and many more.Choose the best design option to sit your requirement and storage design. Bathroom safety – Keep your kids out of room or areas where water, heat and electricity is near. In bathrooms, too hot water can burn your kids thin skin. This can happen even if they happen touch a faucet while hot water is flowing out. Also contact burns are dangerous that have surround hot metal like hair straighteners, hair dryers and similar machines. • Firstly keep your bathroom doors closed when not in use. • Never leave your baby unattended when in bathroom or near bathrooms. • have non-slip bath mat to prevent slipping. • Install Toilet Seat Lid Locks to prevent kids falling into toilet bowl or hurt their fingers with seat falling over them. • Keep Laundry detergents and soaps out of kids reach. Have higher Storage options made. Safety in Other Rooms – One must follow the Electrical safety point, furniture safety pointers in all rooms. Designer PITCH – No matter how much precautions are taken, its always less… All i can say is be careful and as attentive as possible.